Wait? What? We haven’t posted a Netflix & Wine round up in almost a year. I guess that’s the sign of a good year. We’ve been working away on all things swell, traveling, getting outside, reading. You know? Just living life. That said, we’re in the depths of winter here in Canada. Actually, a polar vortex to be precise. What does that mean? It means it’s really f*cking cold unless you happen to live in Vancouver. In that case, enjoy the cherry blossoms! So, in true Canadian fashion, we’re in hygge mode snuggling up with Netflix and wine for the next couple of months. Here are some of our favourite pairings to keep you entertained this winter. Unless you’re living under a rock, you’ve heard of the viral fraudulent debacle that was Fyre Festival. Now, thanks to Netflix (and Hulu), you can grab a bottle of “Borne of Fire” to help you swallow your rage as you watch how “the greatest party that never happened” unfolds at the helm of equally incompetent partners - Ja Rule and Billy McFarland (plus a whole cast of other characters). This is the first year made of this wine with wonderful blackberries, rose leaves and blueberries. Wildly floral. Stems. Full body and round and fine tannins. Juicy and intense. Shows an eccentric style. All large oak. A new nature and personality. 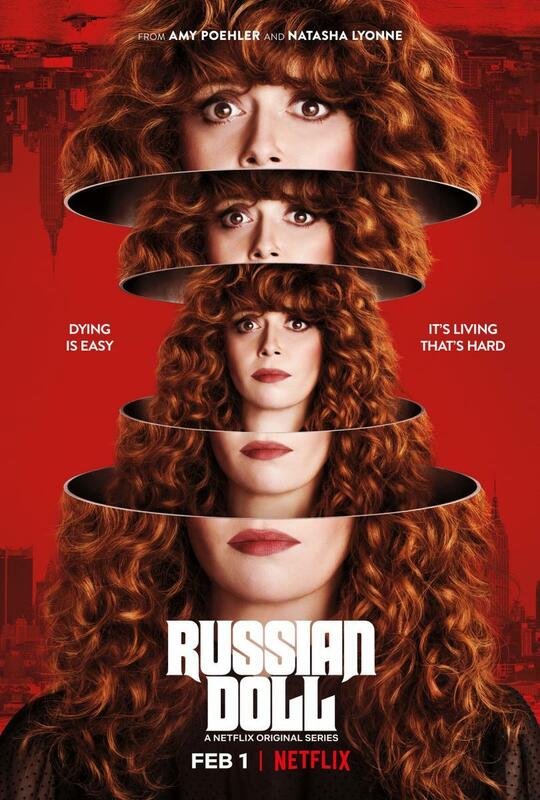 Premiering today (February 1, 2019), Russian Doll is a comedy created by Natasha Lyonne, Amy Poehler, and Lesley Headland. Nadia keeps dying and reliving her 36th birthday party. She's trapped in a surreal time loop — and staring down the barrel of her own mortality. Kick back for some serious Deja Vu with a bottle of Seven Deadly Red from California, because there’s no wine from Russia and we’re not going to subject you to Vodka for this edition of Netflix & Wine. Powerful oaky elements meet very ripe and concentrated fruit flavors in this deeply colored, bold and full-bodied wine. Charcoal, wood smoke and clove aromas are followed by blackberry jam and black-cherry flavors, while light, smoky and peppery nuances weave through them. While the first whiff is oaky, everything comes together well on the palate and finish. This hilarious series about a dysfunctional group of friends from college is back for a second season and it’s even better than the first. If you’re all caught up on season 1, grab your friends, some pasta and/or pizza, and this very CHEAP and cheerful bottle of Italian wine that’s perfect for sharing. Gather ‘round just like our favourite group of friends and be prepared to laugh. A wine that drinks like it could be twice the price. There's a balanced acidity here that makes it very food friendly. Ruby red colour; intense, complex nose of cherry, & chocolate; full flavour of fruit & spice, balanced acidity, soft tannin, long finish, good quality. This series just gets better and better. Back for a 6th season, Chef’s Table will be released on February 22, 2019. Find this classic bottle of Spanish wine directly from the menu of The Grey in Savannah, Georgia and curl up for a delicious evening. The 6th season will feature Mashama Bailey, the chef of The Grey in Savannah, Georgia; Sean Brock, the creator of Husk and other restaurants in the Southern US; Asma Khan, the chef/proprietor of London’s acclaimed Darjeeling Express; and famed butcher and slow food champion Dario Cecchini, of Panzano Italy. Cedar, tea and tobacco notes frame the dried cherry, vanilla and orange peel flavours in this traditional red. Offers good depth and lively acidity, with an alluring, spicy finish. An old-school style, compact and balanced. Drink now through 2023. Like the rest of the world, we’re missing Anthony Bourdain HARD. With and raw lust for life, he truly is a legend. 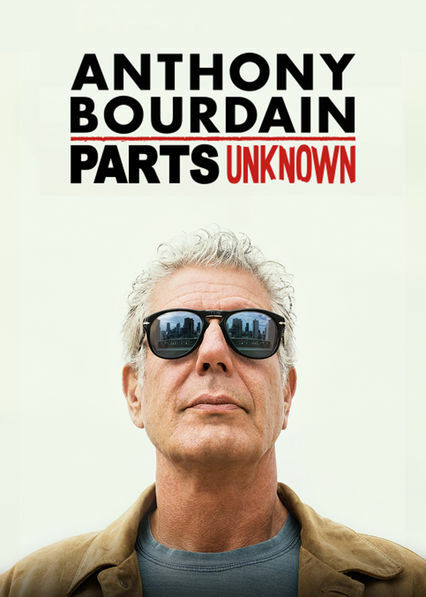 Honour him by binging seasons 1-8 (you can catch all 12 seasons on CNNgo) of Parts Unknown. Better yet! Add some some adventure to your couch session by toasting with Anthony’s favourite drink — Negroni. A concoction of gin, Vermouth and Campari (or Aperol). With a slice of orange. We’re all about Netflix & Wine sessions, but if you truly want to honour Mr. Bourdain, we suggest getting off the couch and seeing the world. Maybe you’ll discover your new favourite drink. “A Negroni is a perfect drink as far as I’m concerned," says Bourdain, adding, “ It's three liquors that I’m not particularly interested in... But put them together with a slice of orange. It works... That first sip is confusing and not particularly pleasant. But man it grows on you.” - Anthony Bourdain. To perfect your drink we’ve selected a premium and local (Bourdain was all about drinking local) gin — Ungava. For a recipe for Negroni, try this one. Even though the ingredients are sourced from the Canadian Arctic, this gin will definitely warm you up. The unique colour of this spirit comes from the mix of Arctic sourced botanicals that include cloudberry, Labrador tea, rose hip and more. Medium lemon yellow in colour; aromas of juniper, herbal tea, spice and tart fruit; dry and medium-bodied followed by a warm and spicy finish. You can buy most of these wines (and gin) at the LCBO in Ontario, Canada. Most of them are also available in liquor stores across Canada and the USA. Enjoy responsibly. Cheers! *Some tasting notes and images from LCBO.com. Content is not sponsored. Netflix & Wine | Valentine's Day 2018 edition by Swell Made Co. In spite of grumblings of coupledom and consumerism, Valentine's Day is one of my favourite holidays. For me, a day that celebrates just love is as simple as a holiday can get and I love simplicity. There's no need to complicate love. Friends, family, pets, partners and our own selves are worthy of one day that recognizes that we are all loved. I don't need a romantic dinner or flowers. The company of the people I love is more than I could ask for. Throw in an evening with heart shaped pizza, wine and Netflix and you've truly found the way to my heart. Keep this Valentine's Day simple with these fun Netflix and wine pairings a la Swell Made Co. Happy Valentine's Day! Released in January 2018, this show is getting 100% ratings on Rotten Tomatoes because it's THAT good. "A heartwarming, quirky romance between a budding psychopath and a truculent, wounded teenager—feels a bit like a Wes Anderson screenplay that’s been rejected for being too dark". This eight part series (20 min episodes) is one that you just can't stop. Pair it with a Cabernet Franc from the literal end of the world, Argentina. Just like this series, this wine is intense and rich, but at the same time soft. Powerful flavours of clove, caramel, and oaky hazelnut complement pungent berry jam notes lifted by a solid alcohol strength. Proof that the world still needs David Letterman, this new Netflix series features Letterman's iconic late-night chats with guests President Barack Obama and George Clooney with more to come. "Letterman’s honesty and degree of emotional introspection don’t just make him still relevant; they make him absolutely essential." There's no small talk here, but you should pair this series with Small Talk Good Night Rouge 2013 VQA as an homage to Dave's late night talk show. A blend of Cabernet Sauvignon and Merlot. This medium-bodied wine with hints of vanilla, cherry and plum, will give you something to talk about when paired with Bruschetta and friends (and Netflix). Released in January 2018 and seen here before, is the Netflix series, Lovesick. The third season follows Dylan in his quest for true love and source of chlamydia. Joined by friends Evie and Luke, he relives past encounters as he notifies all his former partners. This British romantic comedy is witty, dry and easy to watch. 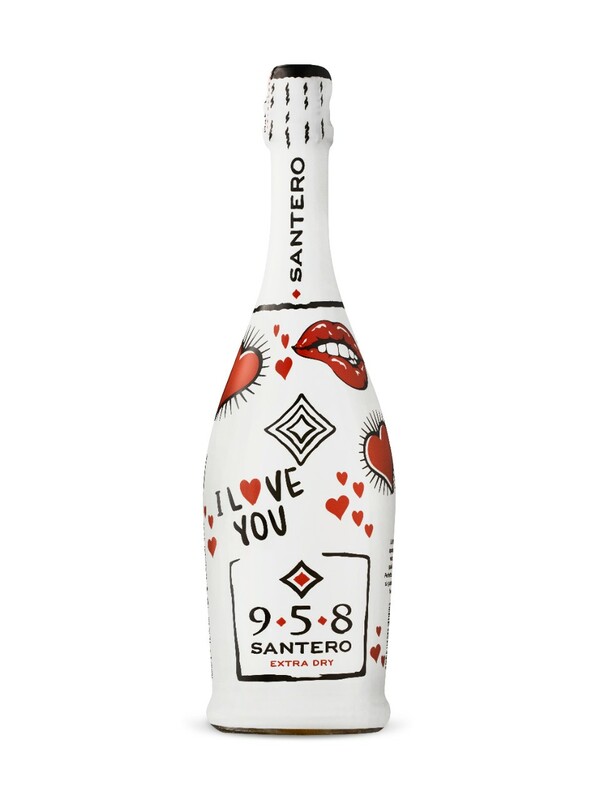 Pair with an equally easy to drink sparkling wine, Santero 9-5-8 Sweetheart Spumante. A bubbly that offers loads of fruity character while remaining refreshing and dry with crisp minerality providing balance. Perfect for a special night with your special someone; serve up well-chilled with a variety of light fare. 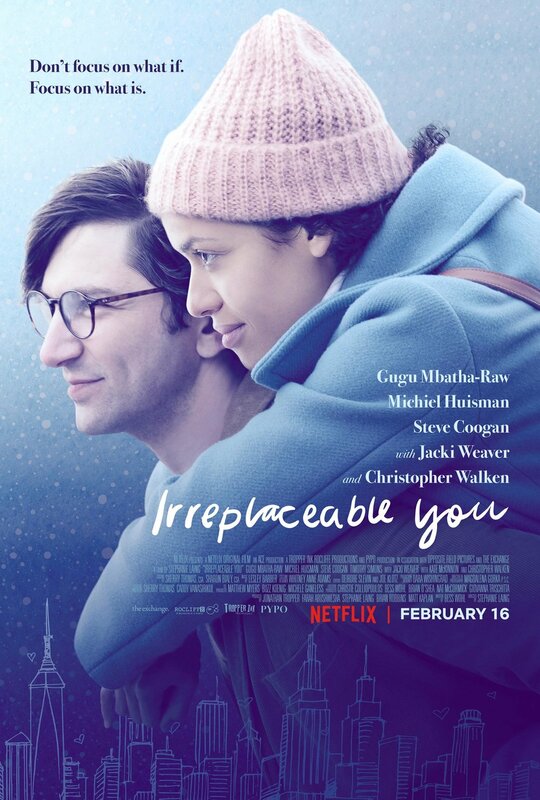 Due to release on February 16, 2018 is the romantic tear jerker, Irreplaceable You. A stunning cancer diagnosis spurs Abbie to seek a future girlfriend for fiancé and childhood sweetheart Sam, who's clueless when it comes to dating. Pair it with Rebel Coast Reckless Love. A blend of Shiraz and Cabernet Sauvignon. Medium bodied with a velvety mouth feel, followed by the bright red fruit of cherries and raspberries. The Syrah gives this wine a white pepper and vanilla characteristic right as the bottle opens, while the Cabernet keeps a backbone of caramel, oak, and dark vineyard soil. Already into it's 6th season (realeased December 2017), Charlie Brooker's series, Black Mirror is one that continues to intrigue. The British sci-fi anthology examines modern society and the unanticipated consequences of technology. This series is dark and satirical with a few lighter experimentations. Pair it with the unconventional, Black Dot Honjozo Sake. A clean pure style of sake, with white mountain flowers on the nose. It has a wonderful clean and soft silky texture. The cleansing acidity also provides good structure and there is a subtle fruitiness with hints of mango, peach and pineapple. You can buy most of these wines (and sake) at the LCBO in Ontario, Canada. Most of them are also available in liquor stores across Canada and the USA. Enjoy responsiblly. Cheers! Netflix & Wine | Fall 2017. Your favourite shows paired with delicious wines by Swell Made Co. It's been a while since the last edition of Netflix & Wine. Summer months have a way of doing that, but with the arrival of Fall I'm ready to snuggle up and stream my favourite shows and pour some wine. Some of these shows were released a little while ago, but they're worth watching if you haven't already. Read through to the end of the post where I mention other notable shows to watch. You'll have to pair those with wines yourself, but here are 5 to get you started. Allora! Aziz Ansari's Emmy winning Master of None picks up where it left off with an incredible second season. The season starts off with Dev's adventures in Italy and follows him back home to New York City. The first few episodes will have your stomach grumbling as Dev learns to make pasta and tastes his way around Italy while hilarity ensues. I bet you're expecting me to pair an Italian wine, but you don't have to go that far to get a good bottle of Gamay to accompany your tomato-based or creamy pastas. Pair it with Ontario's own, Chateau des Charmes Gamay Noir 2015. Ruby red colour; fresh berry aroma; raspberry, cherry and a touch of spice in flavour, light body, clean dry finish. A medium-bodied, easy-drinking red wine. Comedian Jack Whitehall sets about on a missed "gap year" adventure in Southeast Asia with his upper crust (stuffy) and elderly Father in this new Netflix travelogue series. This odd couple takes on Thailand and Cambodia in an attempt to strengthen their bond. Their mishaps and escapades will guarantee laughs. Order some Thai food (a perfect pairing with this wine) and watch this series with a solid Sauvignon Blanc from Marlborough (ouuu, ahhh), New Zealand's Greywacke. Very ripe stone fruit and pineapple aromas are lifted by flowers, dusty brown spices and anise. Plush, round and slightly sweet, but with nicely integrated acidity giving shape to the peach, grapefruit, white pepper and nutmeg flavors. It's no secret, Lady Gaga loves wine and the word is out that Lady Gaga has plans to open a winery aptly named "Grigio Girls" in the near future. Not to be confused with Gaga Wine that was released by Kendall Jackson a few years back. In the meantime, we can have a little fun with Domaine des Nugues Made by G. A sparkling red wine that will pair well with the documentary, Gaga: Five Foot Two. This documentary that follows the icon as she releases a new raw album and prepares for her infamous Super Bowl halftime show. Easy drinking with some easy watching. The wine is deep red with a gorgeous pink mousse and fine beads. 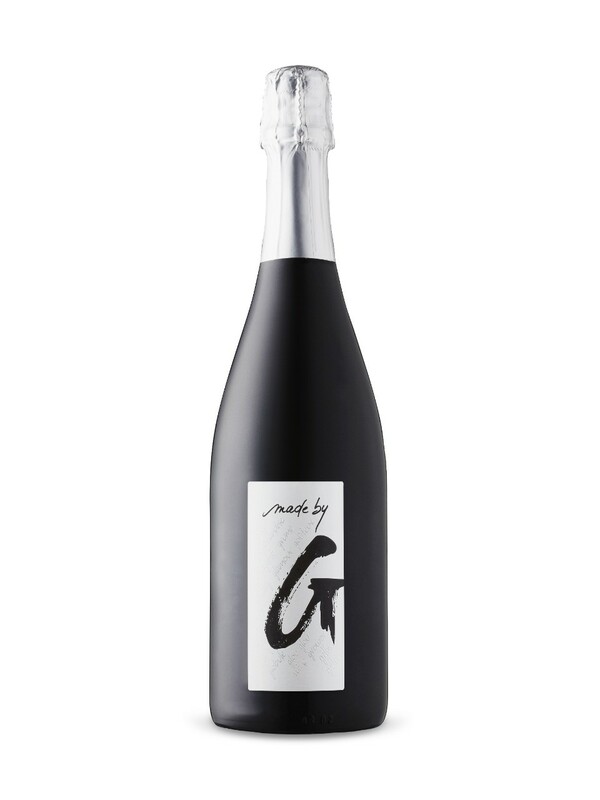 Made By G is a sparkling red wine or cuvee produced from 25 year old vines (gamay grapes). It finishes very lively and fruity on the palate, but not too sweet. This is a fun and different wine that's perfect for parties. 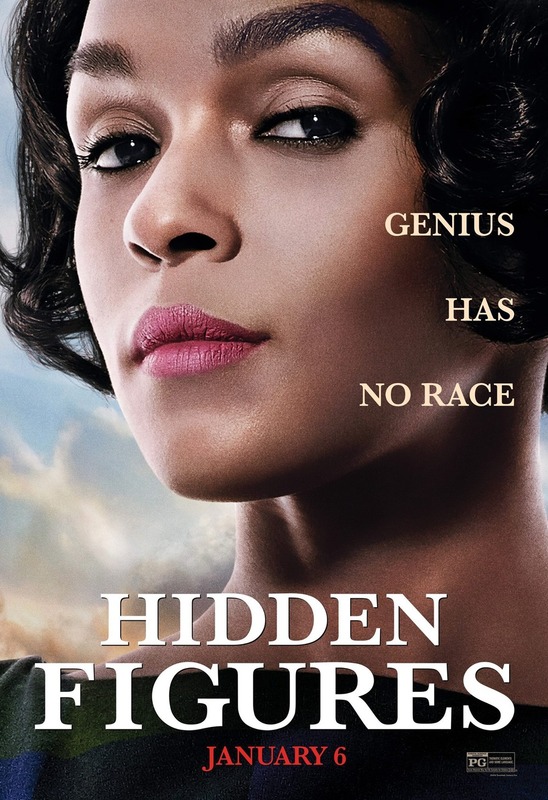 If you haven't seen this flick yet, queue up Netflix and settle in for Hidden Figures. Three brilliant African-American women at NASA -- Katherine Johnson, Dorothy Vaughan and Mary Jackson -- serve as the brains behind one of the greatest operations in history: the launch of astronaut John Glenn into orbit. You'll be in awe (and completely humbled) as you watch this galvanizing and little known piece of history. Pair this movie with a bottle of Torres Celeste Crianza 2012. A delicious wine with a stunning celestial label. A polished texture carries reserved but harmonious flavors of black cherry, licorice, smoke, tar and mineral in this rather austere red. Well-integrated tannins impart structure, giving this depth and focus. Pablo Escobar may be gone, but the drama continues in Narcos season 3 with the Cali Cartel. What I believe, is the best season yet. Watch Pedro Pascal take down more kingpins in Colombia. The final episode eludes to another season that takes place in Mexico where the cartel inevitably takes off, so let's skip the wine for this one and pair it with Reposada Patron Tequila. Mix yourself a cocktail and sit back with this series. This bottle doesn't come cheap, so perhaps save some for season 4? Lightly aged for two months in oak barrels, this offers subtle complexities of fresh agave, oak, citrus, and honey with a light amber hue. Smooth and sweet on the palate with exceptional balance; the finish is highlighted with flavours of floral and vanilla notes. Ozarks - A breaking bad style series about money laundering that takes places in, you guessed it, the Ozarks. This is Us - A feel good family drama that will bring you to your knees in tears. I have yet to see my husband cry (15 years and counting), but this one makes his eyes turn red. 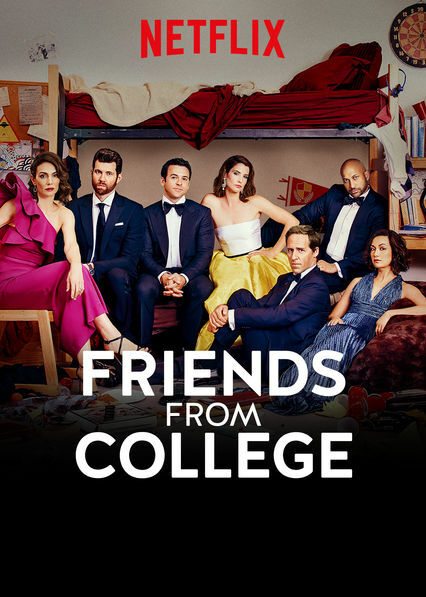 Friends from College - A comedy series that follows a group of friends from Harvard that are now facing their forties. Complicated relationships among the group make for a good show. The Keepers - This brilliant docuseries examines the decades-old murder of Sister Catherine Cesnik and its suspected link to a priest accused of abuse. It takes a sobering and riveting look at a real-life terror which exposes long buried secrets of the Catholic Church in Baltimore. Mindhunter - A new crime drama series inspired by true crime in the 1970s. It follows an elite FBI unit as they try to understand the minds of serial killers. And finally, Glow - A series about an out-of-work actress in the 80's that finds a chance at stardom in the world of women's wrestling. Children of the 80's will appreciate the spandex and cultural references. Pair The Velvet Devil Merlot with Stranger Things for some spooky BOO-zing. There are so many more, but I have to catch up! Ummm, Stranger Things is coming on Friday! Pair that with The Velvet Devil Merlot for a bit of spooky BOO-zing. Until, next time, enjoy these shows and wines. You can buy all of these wines (and tequila) at the LCBO in Ontario, Canada. Most of them are also available in liquor stores across Canada and the USA. Cheers! *Some tasting notes and images from LCBO.com. Netflix & Wine - Pairing your favourite shows and movies with delicious wines. By Swell Made Co.
Bring on the Netflix & Wine because it's March Break! At our house anyway. That means days filled with a balance between burning off some energy and having some chill time. When the day is done and the kids are snuggled in their beds, I'll be snuggling up with a glass of wine and some of my favourite shows and movies. If you're like me, March Break sort of snuck up this year, so I'll be flying through the aisles of my local wine shop (LCBO - where you'll find these easy drinking bottles and tasting notes) to stock up on some of these bottles below. They're all red, because winter is still here in Canada. NEW episodes of Chef's Table Season 3 launched on February 17. If you haven't binged this series already, you're in for a treat. The seasons just get better and better with stunning footage and captivating story lines, that make your jaw drop and your stomach grumble. My favourite episode will take you to Peru's many landscapes. Pair this show with Numero Uno Primitivo, because you have to be numero uno to make it as far as these chefs. Primitivo has a very long history that dates back to the times of the Phoenicians and has an lot in common with a more well-known grape variety called Zinfandel. Fantini' s version is an intense ruby colour with aromas and flavours of dark berries, cherry, and prune; full and soft with a harmoniously tannic finish. I can't resist British movies. If you love Brit humour and whimsy, you'll love Sing Street. This film takes us back to 1980s Dublin seen through the eyes of a 14-year-old boy. While trying to adjust to his new inner-city school, he finds a glimmer of hope in a mysterious girl. With the aim of winning her heart he invites her to star in his band's music videos. There's only one problem: he's not part of a band... yet. Pair this film with Music Room Cabernet Sauvignon. Spicy oak, well integrated with sweet black fruits, mint, good focus on the palate. Chunky, rich, well integrated with a light, lifted finish. 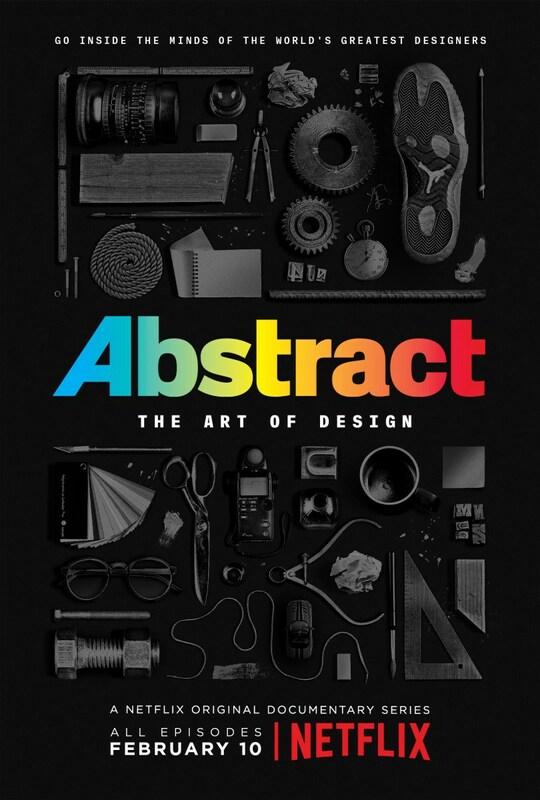 Step inside the minds of the most innovative designers in a variety of disciplines and learn how design impacts every aspect of life with this new series that follows a similar format to Chef's Table. As a graphic designer, I found the Paula Scher episode the most inspiring, but all episodes are equally fascinating. Pair this wine with Seriously Cool Red because these designers are cooler than you'll ever be. 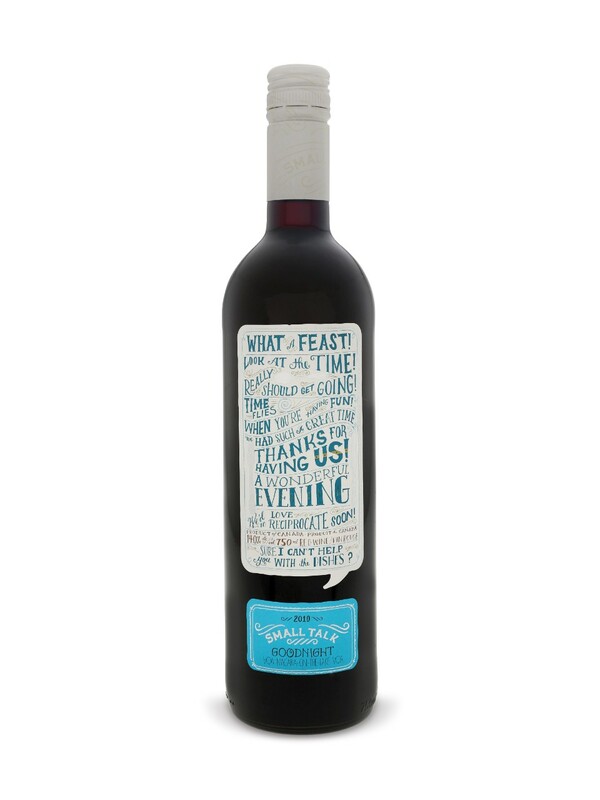 New from Southbrook is this lively red that offers aromas of mulled cherry, candied strawberry and light spice. The palate is medium-bodied and dry with medium acidity and tannins; look for flavours of black cherry, raspberry, and candied apple followed by a lightly spiced, medium length, finish. The packaging is seriously cool and comes in three colourful variations. Back for another season, Love follows the not so "perfect" pair, Mickey and Gus as they go through the triumphs and tribulations of finding contentment, or love. 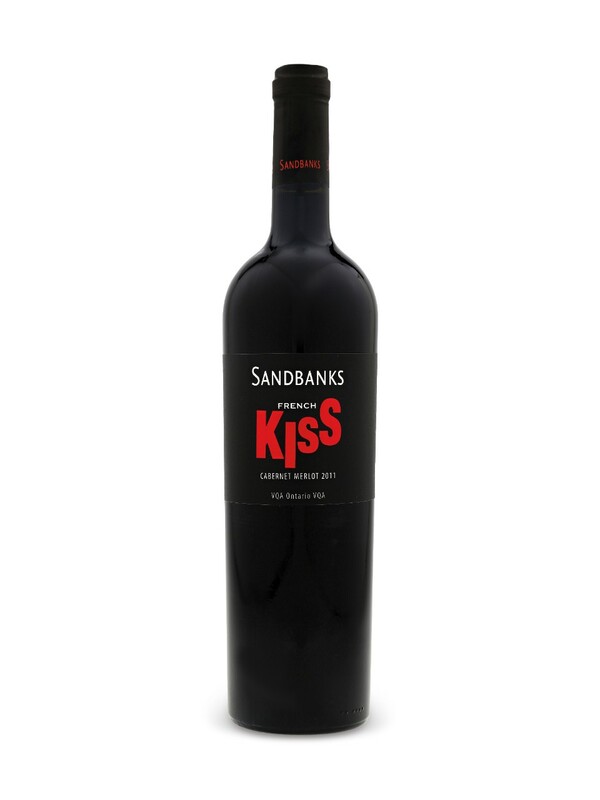 Pair this romantic comedy with French Kiss from Sandbanks. Medium ruby with a garnet hue; aromas and flavours of plums, smoke and clove; dry, medium-bodied with balanced acidity and tannin. Michael Moore is "back". He's been somewhat quiet the past 8 years, but with a ripe political climate under Donald Trump, he and his commentary are louder than ever. This warm up documentary follows Michael Moore as he playfully "invades" European countries to see what they have to offer in comparison to the United States. Pair this documentary with Charles & Charles Red Blend. Deep ruby; notes of cassis, dark chocolate and vanilla on the nose; the palate is dry and full bodied with moderate acidity and tannins; flavours of chocolate covered cherries, mocha and vanilla. It's time for a winter warm up with Netflix and wine. Cold temperatures mean snuggling up, and watching some of your favourite TV shows and movies. Now, just add some of these wines for a perfect night in. What are you favourites on Netflix right now? This science-fiction thriller has developed quite a following as it pays homage to 1980s pop-culture. When 12-year-old Will Byers vanishes mysteriously, a group of friends, a frantic mother and a police chief investigate and try to uncover the truth. If you haven't tuned in already, pair this series with a fine wine chosen for its name. This biographical drama series follows the early reign of Queen Elizabeth II. Although a bit dry, the performances and historical accuracy are outstanding. Pair this series with the Queen's favourite drink, Dubonnet. She drinks this aperitif wine with gin on the rocks, daily. Based on the popular series of books from the late 1990s/2000s, this dramatic series is sure to please all ages. Capturing the first four books in the first season, the performances are extraordinary and humourous. The set design is mesmerizing. Pair these unfortunate events with the delightful (and somewhat unusual) Small Lot Vidal Orange Wine. Bright amber in colour, with some cloudiness from lees in the bottle. Expressive nose with notes of wildflowers, tangerine, marmalade and bergamot. While the aromas suggest sweetness, the wine is bone-dry, with herbal replays. A follow up to the comedy series, Scrotal Recall, Lovesick is a witty British comedy that follows Dylan through his love life; past and present. Pair this lighthearted series with Mojo Cabernet Sauvignon. The tasting notes alone ooze mojo. Fleshy, vibrant up front notes of blackcurrant pastille and cassis, immersed in lighter dashes of cranberry and crabapple. fruit which seamlessly merge with secondary wisps of chocolate, almond, fresh mint and a lick of stalky high notes. Balanced ubiquitous acid imparts structural support and along with the cedary oak bestows bountiful texture by silkily meshing the palate together. If you liked Stranger Things, you'll love this mystery drama series with science fiction, supernatural and fantasy elements. Pair this series with the Game Changer, an easy to drink red blend. After all, this show is may be a game changer for you! 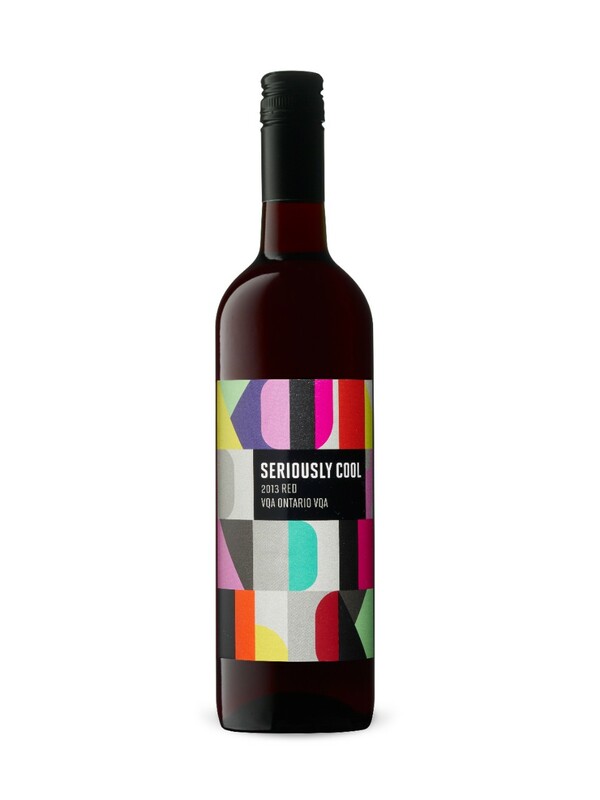 Ruby red colour; fruit forward aromas of plum, raspberry and cherry; the palate is extra-dry, medium-bodied showing flavours of strawberry, red plum, spice and a slight herbaceous character on the smooth finish.